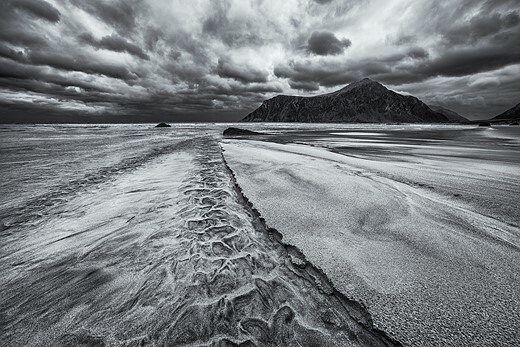 In an age of wide color gamut displays and HDR-everything, DPR regular Nicolas Alexander Otto urges his fellow landscape shooters to embrace shooting in black-and-white. 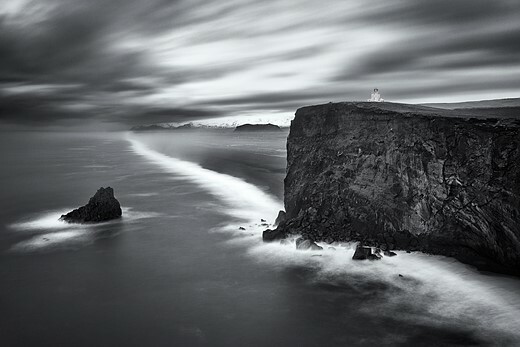 Here are a few reasons why he embraces monochrome for landscape work – and thinks you should too. Reducing imagery to its essentials, breaking it down to texture and shape, can help render the image more accessible to the eye. In this instance – a shot of the Iceland’s famous Vestrahorn – the patterns in the dunes leading the eye towards the mountain range in the distance are not visually overwritten by the color of the grass in the fore- and mid-ground thus stand out more and suffice to lend the foreground dynamism which might otherwise be not visible enough. In this next example (above) the line work isn’t as important, but the different contrast areas with strong tonal differences are aided by the black and white treatment, enabling the small lighthouse to stand out as a visual anchor and helping to create a focus on the balance between the lighter slopes and dark areas on each side of the cliff. I think an abundance of color can indeed sometimes distract from the motif in itself in regards to how it carves out the essence of a landscape. You may get sundown coloring or blue hour at every spot on earth, but a certain shape of rock might be unique to the place you’re shooting. 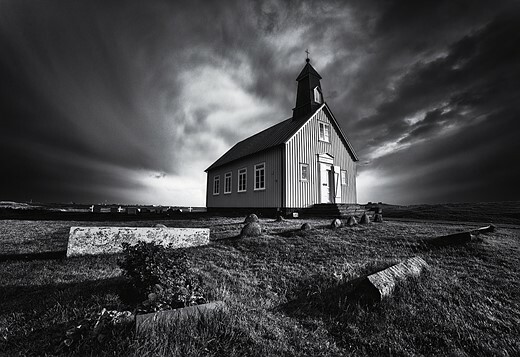 If that’s what you want to capture, you may want to consider shooting black and white in order to prioritize forms over hues. Pre-visualization is key. This means that photographers have to determine in field what the monochromatic image will look like after processing and decide on site how to compose and shoot accordingly. Subsequently, thinking in black and white may enable us to find better compositions; those which do not need color in the first place. While I personally enjoy color as much as black and white, I often find myself trying to shut out color while composing, aiming to focus on the abstract rather than the concrete. This helps me to find my way around cluttered foregrounds or difficult light. It’s an approach I find helpful from time to time and would recommend trying, even though it may take some time to get used to (I guess everyone who has the option to use black and white directly in their live view is a lucky camper in this regard). Taking a picture and converting it in camera for a preview might be cumbersome but can be helpful as well. A black and white image is always a departure from our inherent logical view of the world which is secondarily governed by color (primary is light and dark). This entails certain freedoms such as to depart further from reality, which can be a liberating feeling as a photographer, opening up more creative possibilities. 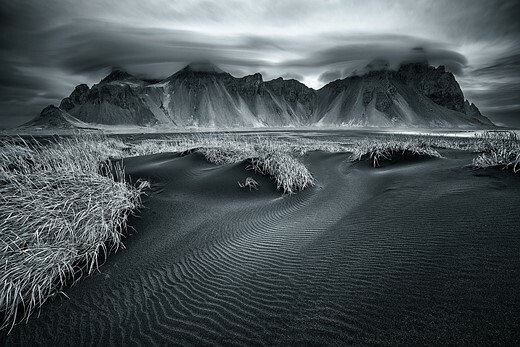 Often times a black and white image can simply ‘get away’ with more dramatic editing and capture technique since it is not regarded as a ‘authentic representation of reality’ as much as a color image. There’s a perception that editing images, in one way or another, deteriorates the character of the image. Black and white images however don’t seem to be subject to the same amount of critique because they are governed by a different frame of reference. 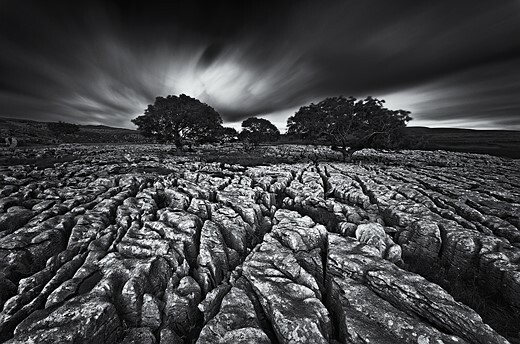 Take a look at more of Alex’s work and be sure to read our Readers’ Showcase Q&A with him. 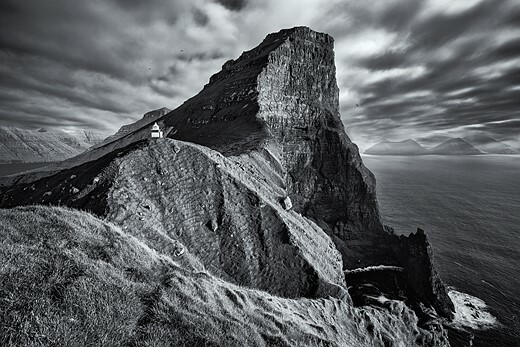 Do you regularly shoot monochrome landscapes? Why do you embrace black-and-white? Let us know in the comments.